There's a lot more to financial planning then dollars and cents. In this presentation, award-winning financial journalist and author, Stacey Tisdale, helps her audience gain insights into how non-financial influences, such as gender, race, role modeling, and social pressures, play out in their belief systems, consequently, their choices and behaviors around money. Ms. Tisdale gives her audience tools to move beyond the limitations of conditioning, and align their financial lives with their values, goals, and priorities. Our gender and race not only impact how we are received by the world, but they also impact what we believe is possible for our lives in most areas, money being now different. In this presentation, award winning financial journalist and author, Stacey Tisdale, shows her audience how to identify the ways in which gender and race are playing out in their financial beliefs and experiences. Through this increased awareness, participants will learn how to step away from conditioning that does not serve them, and how to create lives that reflects who they truly are, and what they value. According to the census bureau, by 2032, minorities will be the majority population in the United States. In addition, Nielsen Research finds that black households in the US earning $200,000 a year, and $75,000 a year, are the fastest-growing income groups. That the business world must be able understand and serve this affluent new consumer. Award-winning financial journalist and author, Stacey Tisdale, shares insights that will help all understand the complex relationship this consumer has with money. 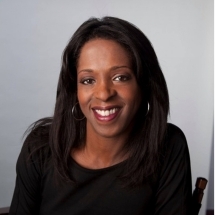 On air financial journalist Stacey Tisdale has reported on business and financial issues for more than 20 years, reporting and contributing for some of the largest and most prestigious news organizations in the world. Ms. Tisdale, president and CEO of financial media and education content provider Mind Money Media Inc., also authored a book titled The True Cost of Happiness: The Real Story Behind Managing Your Money. (Publisher: John Wiley & Sons). In addition, Stacey has created a financial literacy curriculum called Winning Play$ for elementary – college aged students in conjunction with NFL Hall of Famer Ronnie Lott’s All Stars Helping Kids Foundation. Winning Play$ was awarded the U.S. Department of Education’s Excellence in Economic Education award for 2010 and in 2011, The National Association of Black Journalists awarded Stacey its 2011 Community Service Award for the program. Stacey was Business Correspondent for Al Jazeera America from 2013 to 2014. Before joining Al Jazeera, she reported for PBS national newsmagazine show Need to Know, and PBS Newshour Weekend. In addition, she was a financial expert on NBC’s Today Show. She is also a blogger on the Huffington Post – Black Voices platform. From 2002 to 2004, Stacey filed business and consumer reports for all of the CNN networks, including, CNN, CNNI and Headline News. Ms. Tisdale also reported for “Inside Africa,” a weekly news magazine show on CNN International. Stacey has also contributed reports to “Money Talks,” the nationally syndicated program created by BusinessWeek. Ms. Tisdale has appeared on “The Oprah Winfrey Show” as a financial expert and in O magazine. She has also written for Essence Magazine. Her experience also includes hosting a show on “Tech Live,” TechTV’s daily news program. During the 1990’s Ms. Tisdale was a business correspondent for CBS News, CBS MarketWatch, The Early Show, CBS Evening News, and CBS Radio. In addition, she was Senior Editor of personal finance at Black Enterprise, developing and reporting content across TV, magazine, and digital platforms in 2015 and 2016. Stacey’s journalistic career began at Dow Jones & Co., where she produced, wrote, and eventually reported and hosted programming for Wall Street Journal Television, which eventually became CNBC. Prior to that, Ms. Tisdale was a writer for Dow Jones newswire service, Tolerate. Stacey’s broadcasting career came after her work on Wall Street as a cash manager for the commodities firm Balfour Maclaine International. In addition, she has created a personal finance curriculum for college students on behalf of the White House, and conducted research for the United States Congress on the financial behavior of professional athletes. Stacey Tisdale creates financial education and life skills programs for professional sports teams and corporations as well including WNBA team the Washington Mystics, the NFL Super Bowl champion New York Giants, and the female employees of Microsoft. Stacey Tisdale is a graduate of Marymount College. She also attended Polytechnic of Central London in England. She is a board member and advisor for Operation Hope. Stacey is also on the advisory committee for The Gloria Steinem Endowed Chair for Media, Culture, and Feminist studies at Rutgers University. "The True Cost of Happiness"